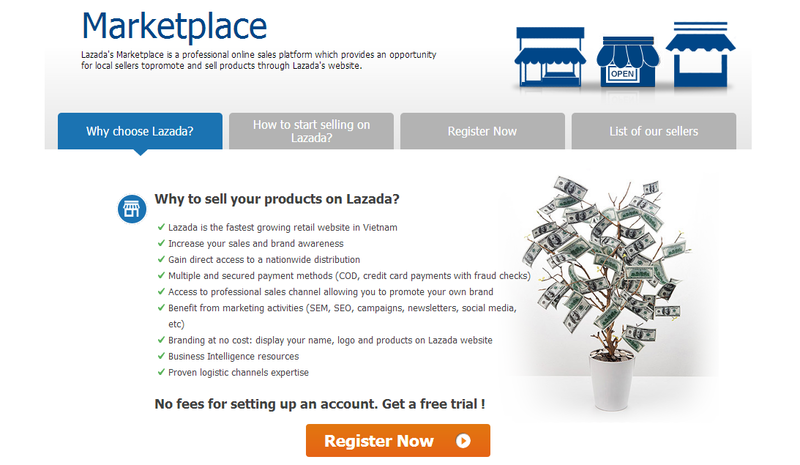 Lazada Marketplace: More like Amazon, or Rakuten? After months of rumours and talks, Lazada's Marketplace offerings are finally revealed in 5 Southeast Asia countries - Malaysia, Indonesia, Thailand, Philippines and Vietnam. After months of rumours and talks, Lazada's Marketplace offerings are finally revealed in 5 Southeast Asia countries - Malaysia, Indonesia, Thailand, Philippines and Vietnam. It is still very early stage though as the write-ups on the seller recruitment pages, and the virtual shops of merchants are not fully polished yet. A quick check on the list of sellers in each market and we notice that Lazada Thailand has been the most aggressive one signing-up 126 merchants so far, followed by Malaysia and Vietnam with 74 merchants. However, most of the virtual shops do not seem to be fully ready, and many of them are without any products yet. You can check out one of the near-to-ready virtual shop examples in Malaysia - Pineapple Computer. We find it interesting that Lazada hasn't yet to comply to Malaysia's regulation for e-commerce business by displaying the merchant contact information in the shop. In terms of total products offering, Lazada Malaysia seems to be the strongest among SEA's setups by carrying more than 56,000 products at the time of writing. It has been a steady growth for them after suffering fulfillment issues thus significant number of products were being taken down during the period of August to October 2012. Now the question is, is Lazada trying to copy Amazon (B2C with marketplace), or Rakuten's B2B2C model? For the record, third-party sellers account for 40% of Amazon's total sales. Related article: What is the total sales transactions of Lazada Malaysia? 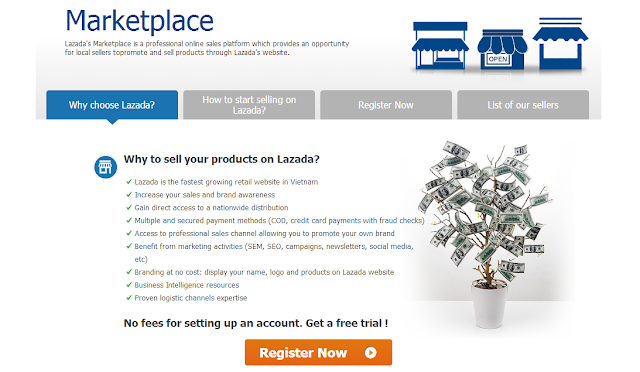 Is Lazada trying to clone Amazon's marketplace too? 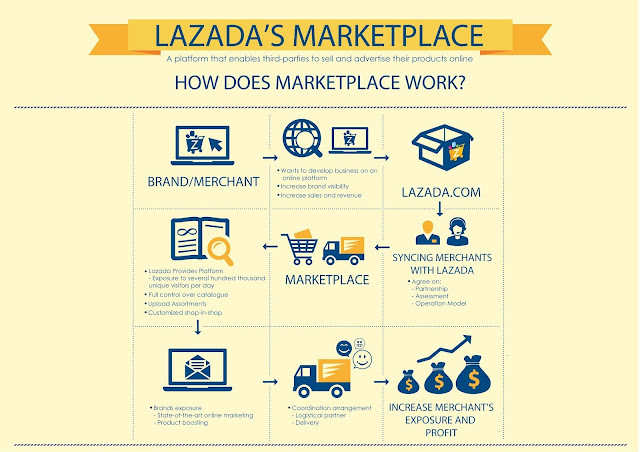 Let's try to first understand how Lazada Marketplace works, which you can refer to the chart below (click to enlarge). At a glance, it looks quite similar to part of the Amazon's marketplace model but it is an uphill task for anyone to get close to Amazon's fulfillment process and technology. It wouldn't be a surprise if Lazada is to clone Fulfillment by Amazon in the near future here in this region. Coming back to present state, let's find out whether how much does it cost for merchants to sell on Lazada, will it be similar with Amazon's selling plan? 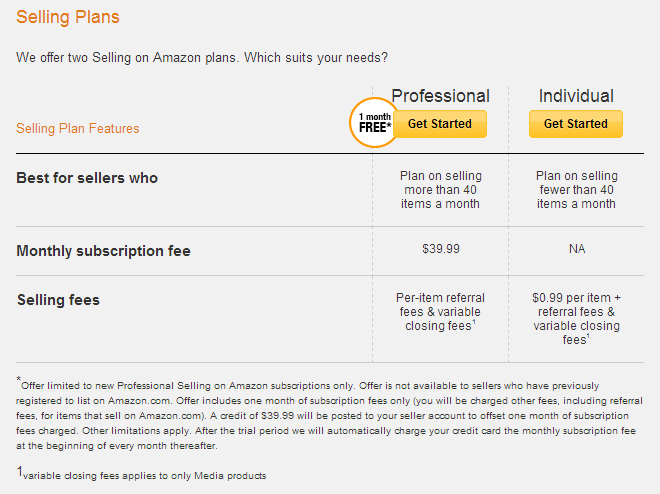 At the moment, Lazada's selling fees is not as complicated as Amazon's, and they charge a x% amount of sales margin which includes online payment fees. On top of that, merchants need to bear the shipping fees in most cases as Lazada offers nationwide free shipping with certain conditions. Lazada has also been telling its merchants lately that they will start collecting monthly subscription fees similar to Amazon's but it has not been realized so far. We have just spoken to a merchant who has joined Lazada's Marketplace in Malaysia trying to understand its current process. It is quite surprising to find out that Lazada does not offer a full-fledged back-office system for merchants to manage their store and products. So, there isn't any "full control over catalogue", "upload assortments" as claimed in the chart above, at least for now. What sellers need to do for now, is to send over a product list in spreadsheet to Lazada in order to upload the products, so it is challenging to have elegant control on product's data especially description and inventory update. 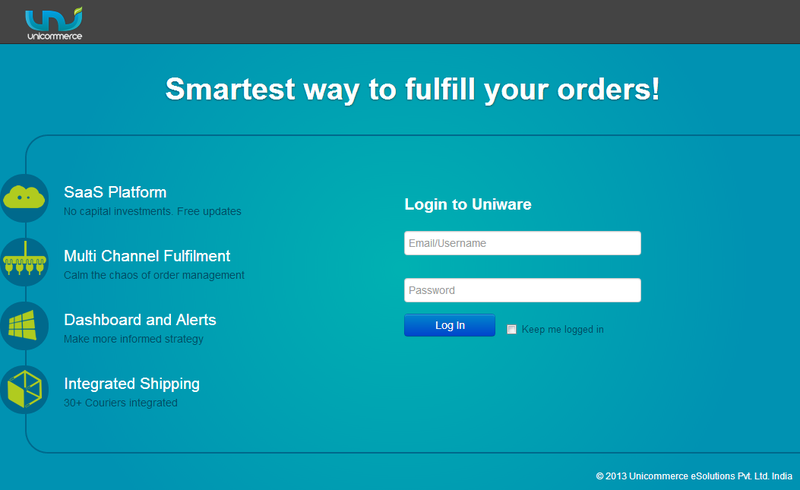 The only system that merchants get to use for now is Lazada's order fulfillment platform, which merchant can login to a SaaS platform to check their incoming order details, and then update fulfillment status. According to our findings, this platform has been made available to merchants since May 2013. Lazada's order fulfillment platform for merchants, powered by India-based Unicommerce. 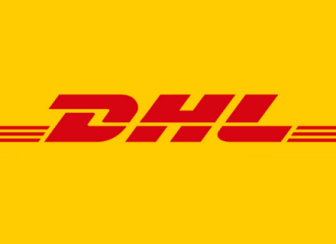 In most cases, Lazada will arrange items pick-up at merchant's location via third party delivery service and ship the order to customers directly. Let's keep an eye on how Lazada is going to leverage on its warehouse for this marketplace business and improve fulfillment process in the future. Related article: Is Amazon losing market share to Lazada in SEA? 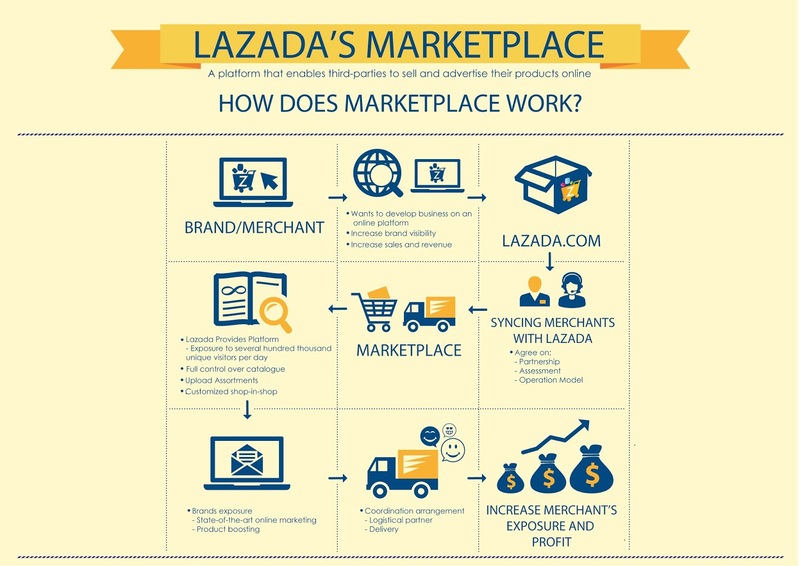 With the introduction of marketplace business, Lazada is now becoming a head-to-head competitor to Rakuten's own B2B2C marketplace businesses which are currently operating in Thailand, Indonesia and Malaysia within Southeast Asia region. How similar (or how different) is Lazada's Marketplace to Rakuten's B2B2C model? For a start, Lazada has an advantage over Rakuten in the area of fulfillment process. Lazada can streamline and have better control over order fulfillment service level and efficiency. This advantage would be bigger if Lazada manages to get anything closer to the standards being set by the famed Amazon's fulfillment process. 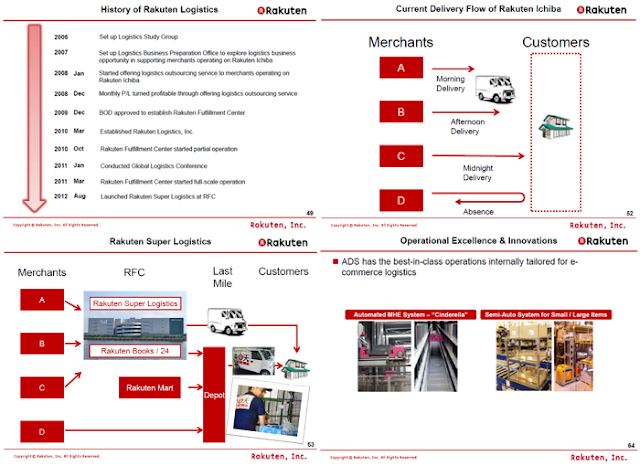 It is an area well-recognized by Rakuten to improve in order to compete, in which Rakuten has setup fulfillment centers and launched Rakuten Super Logistics in Japan since 2012. With the acquisitions of French logistics solutions provider ADS and US based fulfillment company Webgistix, we are still unsure of Rakuten's plan to roll out logistics service in regions out of Japan. As mentioned earlier, Lazada does not provide a "proper" back-office system yet thus merchants have minimum control on their shop's look and feel. Just take a look at one of the merchants who runs an online store in both Lazada and Rakuten. 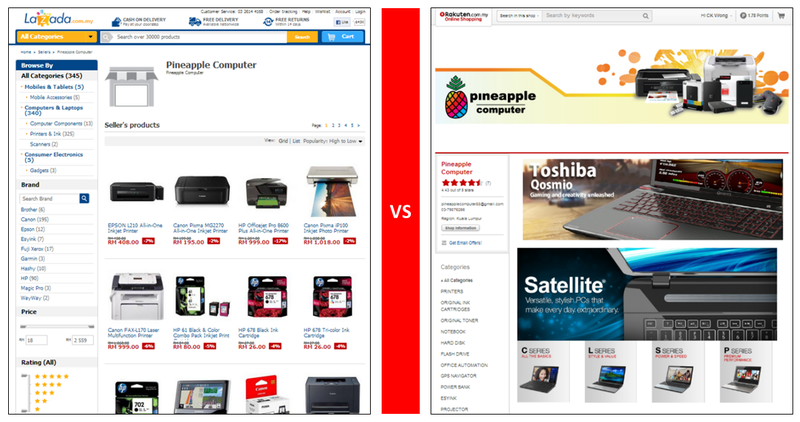 Pineapple Computer's virtual store in Lazada and Rakuten, in comparison. Besides not showing merchant's contact information (not only due to regulations, but also convenience to customers), it is a question mark whether merchants can run their own marketing campaign at least via their virtual storefront in Lazada. Let's take another comparison on product page as shown below, we are looking at the same product supplied by the same merchant on Lazada and Rakuten respectively. Product page in Lazada and Rakuten, in comparison. The comparison above shows an obvious difference between B2C and B2B2C where as B2C is product centric, while B2B2C is a shop centric model which would be advantageous to merchants. In layman terms or offline world, it is just like supplying to departmental stores (B2C) versus having a storefront in shopping mall (B2B2C). Therefore, selling on Rakuten's B2B2C provides a stronger brand presence to merchants. Being a supplier to B2C (marketplace), there are limitations in terms of systematical access to actionable data and reporting, heavy involvement in terms of operation and co-marketing activities. You would not have much control and flexibilities if your objective is to fully experience running an online business. Perhaps the most distinguishing difference is Rakuten's B2B2C model does not compete with merchants, as opposed to Amazon's or Lazada's. Rakuten does no merchandising and it will be a potential threat partnering with marketplace operator who does merchandising. Rakuten's motto is always about empowering merchants by having e-commerce consultants working closely with merchants and grow their online business. Lazada on another hand has foreigners as account manager to collaborate with merchants, and a local merchant has told us that it has not been the best experience to even communicate with them. Nevertheless, Lazada could be a formidable force as they are learning and keep improving to provide the best online shopping experience to the customers. Our perspective here is whether as a merchant, which marketplace will be more inline with your online business growth, and what are you trying to achieve ultimately? Related article: Which big retailers in Malaysia are on Rakuten? ecInsider: Lazada Marketplace: More like Amazon, or Rakuten?